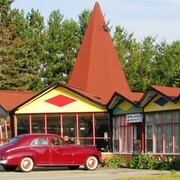 Located in Sudbury District, this motel is within 1 mi (2 km) of Timber Village Museum and Blind River Marina. Boom Camp Trailhead is 2 mi (3.2 km) away. Very close to the highway and neat and clean property. Very close to blind river water. We enjoyed our stay. Easy check-in, friendly staff, fair price. I personally found the bed to be too firm for my liking and was disappointed to find out that the restaurant attached to the hotel was no longer operating. Where to find Blind River hotels near an airport? 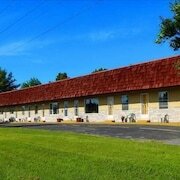 Where can I find hotels in Blind River that are near tourist attractions? 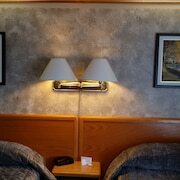 Looking to find a hotel or apartment in Northern Ontario, specifically in or near Blind River? Within a 0.1-kilometre (0.06-mile) radius of central Blind River there are 3 Expedia-recommended hotel options you can choose from. 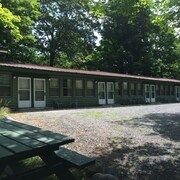 Accommodations that are within easy driving distance to the city center of Blind River include the Old Mill Motel and MacIver's Motel & Campground. 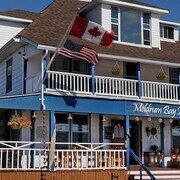 30 kilometres (19 miles) away from the center of Blind River, is the The Meldrum Bay Inn. 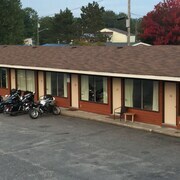 The Red Top Motor Inn is 20 kilometres (13 miles) away. 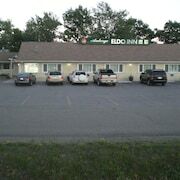 Some other hotel and apartment options in the area are the The Village Inn Motel and the Auberge Eldo Inn. If you have the time, why not broaden your horizons and explore the many other attractions around Northern Ontario while you are in the area? Photographers will love Northern Ontario's forests and rivers. You should also visit its old towns, art museums and history museums. Fun-loving travelers may also try their hand at snowboarding and skiing in this part of Canada. The nearest accommodation options in Northern Ontario include McKerrow and Bruce Mines. McKerrow is 95 kilometres (59 miles) to the east of Blind River, while Bruce Mines is 60 kilometres (38 miles) to the west. 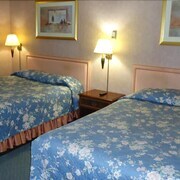 Accommodations in McKerrow are the Pinewood Motor Inn and Alta Vista Motel. 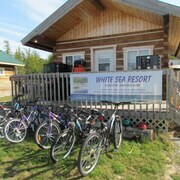 While accommodation options include the Bruce Bay Cottages & Lighthouse and Bavarian Inn. Blind River features some great things to see and do; discover more by spending a little time at Expedia's up-to-date Blind River travel guide. What are the most popular Blind River hotels? Are there hotels in other cities near Blind River? 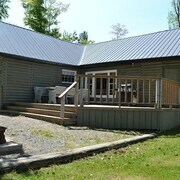 What other types of accommodations are available in Blind River? Explore Blind River with Expedia.ca’s Travel Guides to find the best flights, cars, holiday packages and more!